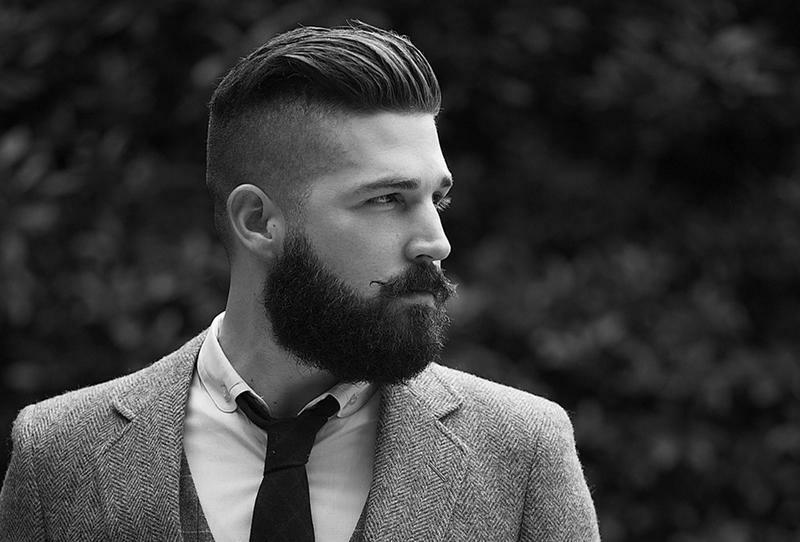 When a man comes into a salon to have their hair cut they usually have a certain style of cut in mind. Many of these customers have very thick hair. Some of these cuts require just scissors while others require a razor if the hair is to also be thinned. This is why it is important for the beautician to know how to thin hair with a razor. Usually, if you have very heavy hair it will have thick strands. If cutting with only a pair of scissors, often there is a blunt, chopped look. Being able to thin your hair with a razor makes all the difference in the world. Thinning hair with a razor is different than using scissors. The salon stylist will work on one section at a time. Holding the section of hair straight out she or he will use the razor, starting at the root and gradually work toward the end. The razor is held at an angle and the hair is gently cut by layers, starting at the root and tapered out to the end. This trims down the hair as it goes toward the end of the strands. This trimming will be done all around your head and, after it is combed, your hair will come fall nicely into place, giving a smooth, rather than a thick look. There will be no bunches or ends sticking out. Some people have the mistaken idea that thinning the hair will stop its growth. That is not true as your hair grows from the roots, not the end. When a razor is used to thin your hair, it will grow from the point of the razor cut. In other words, it will grow back unevenly. When the hair is layered this is good because it keeps the cut even. Most people have their hair thinned in a beauty salon or barber shop, however there are some who thin their own hair. Ordinarily, those trying to use the razor thinning method at home have some difficulty. Using the razor to thin hair is not something new. It has been used for many years and is enjoyed by people with thick hair. Having it thinned with the razor makes your hair look smooth and attractive where previously the thick hair simply went in all directions. If you have thick hair, having it razor thinned will make a world of difference and your hair will look neat and well groomed.